Time: Sunday 09-14-2014 at 3:20 AM. On Sunday 09-14-2014 at 3:20 AM, Lapeer County Sheriff’s Deputies responded to an injury traffic crash on Youngs Road south of Imlay City Road in Attica (Attica Township). DAVID FOX age 28 from Attica was operating a 2007 Chevrolet Impala south bound on Youngs Road. The vehicle departed the right or west shoulder of the roadway and traveled within a ditch. The vehicle struck a ditch culvert which resulted in airborne travel. The vehicle subsequently overturned and came to rest on its tires within the west ditch. The passenger RYAN WHEELER age 30 from Attica was ejected during the collision event. DAVID FOX was able to exit the vehicle after the collision. The unoccupied vehicle erupted and was consumed by a post collision fire that was extinguished by Attica Township Fire Department. DAVID FOX was transported to McLaren in Lapeer and listed in serious condition. RYAN WHEELER was transported to McLaren- Lapeer and is listed in serious condition with life threatening injuries. The preliminary investigation supports that alcohol, non use of safe devices (seat belts), and excessive speeds are factors in this traffic crash. The roadway was closed for approximately two and a half hours for rescue and investigative purposes. 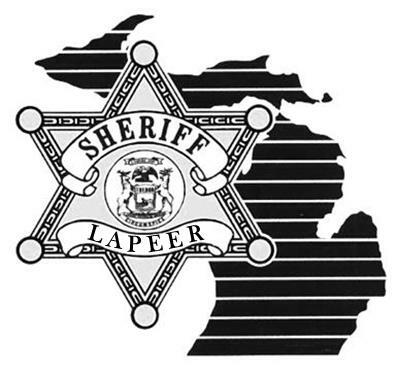 The Lapeer County Sheriff’s Office was assisted by Imlay City Police Department, the Michigan State Police Lapeer Regional Post, and the Attica Township Fire Department. This traffic crash remains under investigation by the Lapeer County Sheriff’s Office. Anyone with information is requested to contact Detective Sgt. Jason Parks at 810-245-1381 or jparks@lapeercounty.org.